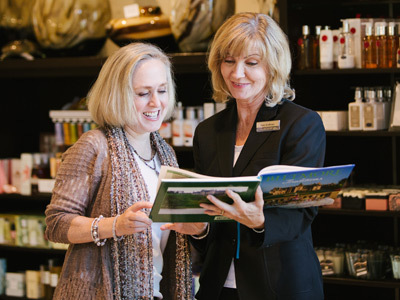 One of the most invaluable benefits at Biltmore is our dedication to training. 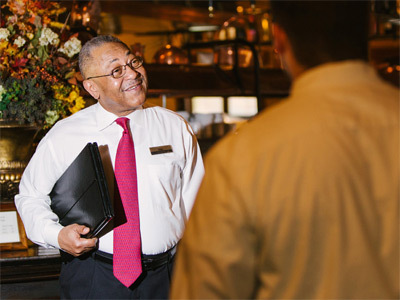 Our training programs create a positive, continuous learning environment that prepares you for success at Biltmore and beyond. Biltmore is accredited by the International Association of Continuing Education & Training (IACET) and is part of an elite group that has earned this worldwide recognition. As a certified provider of training programming, all of our internal course offerings meet strict IACET standards. We award continuing education unit (CEU) credits for select classes. Our Corporate Training & Development team offers courses in guest services, supervision and management, leadership development, hiring and selection of staff, strategic planning, management training, and much more. Career planning services and tuition reimbursement programs are also available. A love of learning and a spirit of community service are just two of the legacies begun by George and Edith Vanderbilt. Biltmore’s culture of community service and education found expression in the founding of the Biltmore Forest School, the first school of professional forestry in the United States, and through Biltmore Estate Industries, which provided vocational training to area residents in the early 1900s. We’re pleased to continue their rich tradition into the 21st century through innovative partnerships with local institutions and organizations.